Russia’s Sergey Kirdyapkin and Yuliya Zaripova are to be stripped of certain world and Olympic titles after the Court of Arbitration for Sport (CAS) upheld an appeal from the International Association of Athletics Federations (IAAF) against the “selective” disqualifications handed down by the Russian Anti-Doping Agency (RUSADA) to six of their athletes. 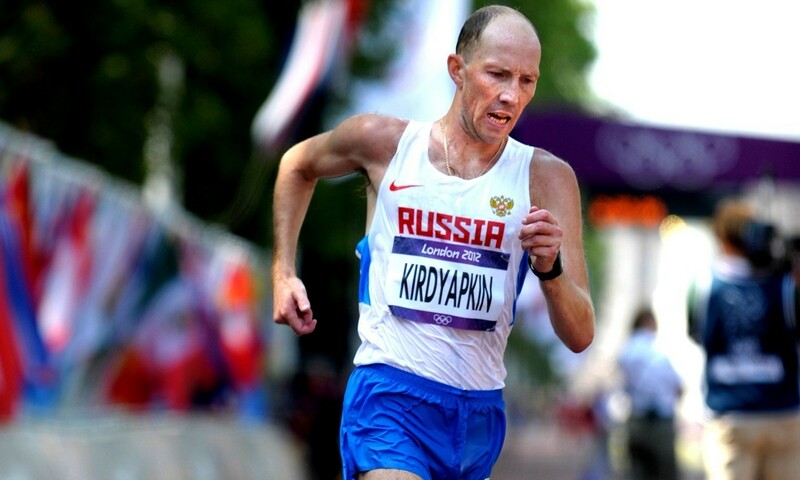 Kirdyapkin, who won the 50km race walking gold in London, has had all results between August 20, 2009, and October 15, 2012, annulled and Zaripova, who took the 3000m steeplechase world and Olympic titles in 2011 and 2012, has had those from July 20, 2011, to July 25, 2013, disqualified, while their compatriots Olga Kaniskina, Valeriy Borchin, Vladimir Kanaykin and Sergey Bakulin have also had their suspensions revised. The IAAF announced in March 2015 that they would appeal against the suspensions handed down by RUSADA as it felt the “selective disqualification of results” were incorrectly applicable with the anti-doping rules adopted by the international governing body. Australian walker Jared Tallent will be bumped up into the gold medal position after Kirdyapkin’s disqualification, while China’s Si Tianfeng and Ireland’s Robert Heffernan will receive silver and bronze medals. Tunisia’s Habiba Ghribi will be named the new 3000m steeplechase world champion from 2011, while Kenya’s Milcah Chemos Cheywa and Mercy Wanjiku will be upgraded to silver and bronze respectively. CAS also announced that they had reversed RUSADA’s decision to issue a lifetime ban to Kanaykin, instead handing him an eight-year suspension. An IAAF statement read in part: “The IAAF will immediately proceed to the effective disqualification of results, re-rankings and reallocation of medals in all competitions under its control.